It's the first day of school! 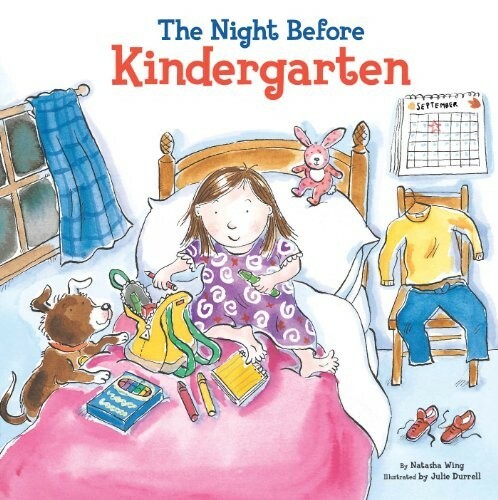 Join the kids as they prepare for kindergarten, packing school supplies, posing for pictures, and the hardest part of all -- saying good-bye to Mom and Dad. But maybe it won't be so hard once they discover just how much fun kindergarten really is! Colorful illustrations illuminate this uplifting takeoff on the classic Clement C. Moore Christmas poem.